As fierce fighting rages around the Syrian capital Damascus and the strategic border town of Qusayr, Syrian troops backed by Lebanese Hezbollah fighters are preparing to storm Aleppo in next to no time. Aleppo, Syria's largest city of three million and a former commercial center, is now split between rebel and government control. “The liberation battle is knocking at Aleppo’s door,” Radwan Mortada writes today on the front-page of al-Akhbar, Iran, Hezbollah and the Syrian regime’s daily mouthpiece in Beirut. His news article appears verbatim on Hezbollah’s own al-Manar news portal. The Syrian army won’t wait to settle the battle for Qusayr before initiating the battle for Aleppo. Security sources tell al-Akhbar the Syrian army is already massing troops in the vicinity of Aleppo and preparing to storm it and free it from opposition fighters who seized it in late July 2012. The sources talk of a strategy to splinter the key Syrian governorates – thus cutting off supply routes to rebels entrenched inside – before blitzing them. 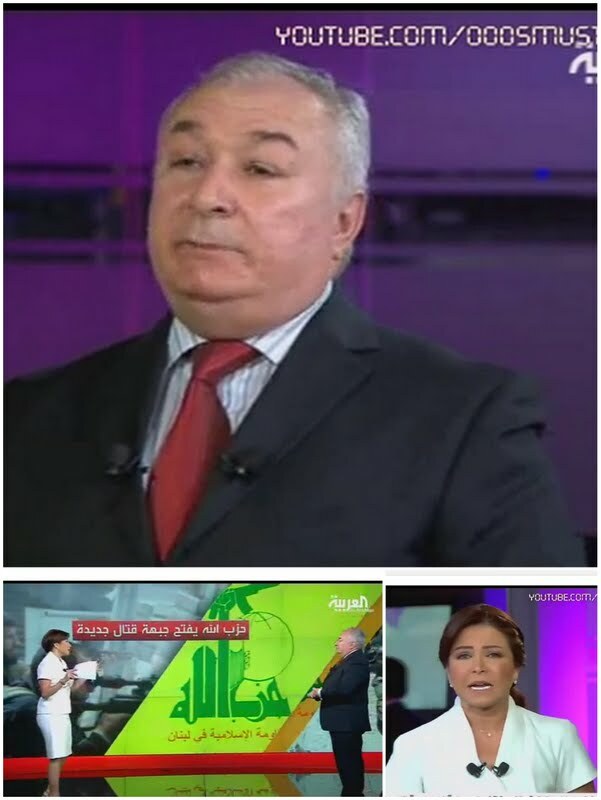 Interviewed on Alarabiya TV news channel overnight, Dr. Mustafa Alani, senior advisor and director of the National Security and Terrorism Studies Department at the Gulf Research Center In Dubai, made no mention of an impending battle for Aleppo. After eight days of fierce fighting, Hezbollah was only able to control tiny parts of Qusayr. I think Hezbollah forces are too scattered. The regime does not want to join the Geneva-2 negotiations in June with its capital Damascus under siege. Large chunks of Rif Dimashq remain in rebel hands and the regime is striving for a decisive military victory in the run-up to Geneva-2. I don’t think the regime can do it, but it can make military advances ahead of the negotiations. If its forces can totally dislodge the Free Syrian Army and other rebel groups from the Damascus suburbs and Rif Dimashq, the regime would gain the upper hand in Geneva. But prospects for Geneva -2 being held anytime soon dimmed today when Russia’s Deputy Foreign Minister Sergey Ryabkov told Interfax, “There remains a gap between the positions of Russia and the United States regarding some issues and aspects of this major international crisis. He also said, “No, it [Geneva-2] will not be held” in the absence of an authoritative delegation representing the Syrian opposition. Russian Foreign Minister Sergei Lavrov was not entirely downcast on Geneva-2 yesterday, telling reporters after his talks with U.S. Secretary of State John Kerry, “It's not an easy task. It's a very tall order. But I hope that when the United States and the Russian Federation take this kind of initiative, the chances for success are there." 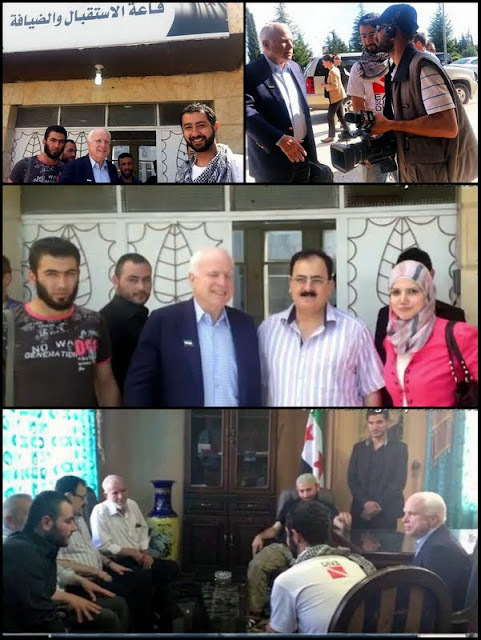 As the two met in Paris, one of the strongest advocates of U.S. military aid for the Syrian opposition, Senator John McCain, made a surprise visit to Syria for discussions with rebel leaders. McCain, the top Republican on the Senate Armed Services Committee, entered Syria through Turkey and was on the ground there for several hours. He travelled with the Syrian Emergency Task Force and met General Salim Idriss, chief of staff of the Free Syrian Army, as well as 18 other rebel commanders, the BBC has learned. Gen. Idriss called for arming the FSA to continue its fight, as well as a no-fly zone and airstrikes on government targets and on the forces of Hezbollah. According to Mouaz Moustafa with the Washington-based Syrian Emergency Task Force that was involved in planning the trip, McCain spent about an hour meeting with FSA commanders from various parts of the country, including Aleppo, Homs, and Idlib.